John Barry was born on 25 March 1745, the son of an Irish farmer. He rose from impoverished conditions in County Wexford, Ireland to become the senior commander of the U.S. Navy. Barry arrived in Philadelphia, PA, as a teenager and became successful in the maritime trade industry. When the movement of the American Colonies to be independent from England became popular, he joined the effort. He fought in land battles at both Trenton (December 1776) and Princeton (January 1777). 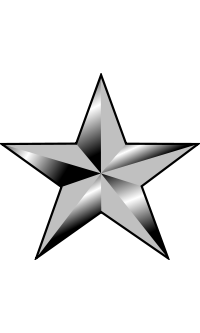 He was chosen to outfit the ships of the fledgling Continental Navy and, after doing so successfully, was awarded with a Captain's commission and given command of the warship USS Lexington. Later, in command of the USS Alliance, he became the first to capture a British war vessel while at sea. Although Barry was severely wounded, Alliance overpowered the HMS Atalanta and Trepassey off the coast of Newfoundland in May 1781. Barry authored a book used by the captains of ships to communicate more effectively. He fought in the American Revolution's last naval battle while returning from Havana in 1783. After the war he re-entered private business but, in the 1790s, President George Washington revived the U.S. Navy permanently and called on the Revolutionary War hero for assistance. 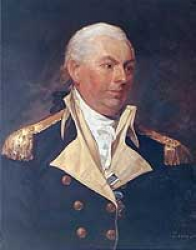 In 1794 he was named Senior Captain of the Federal Navy, and immediately began the task of constructing and equipping the first frigates for the U.S. At his urging the newly formed government created the Department of the Navy and established government operated Naval Yards. His training of many of the naval heroes of the War of 1812 led his contemporaries to dub him "The Father of the American Navy." In the Quasi-War with France from 1798-1800, he commanded the USS United States. He remained head of the Navy until his death. Commodore John Barry died on 3 September 1803 from complications caused by asthma. He is buried at Saint Mary's Catholic Churchyard in Philadelphia, PA.